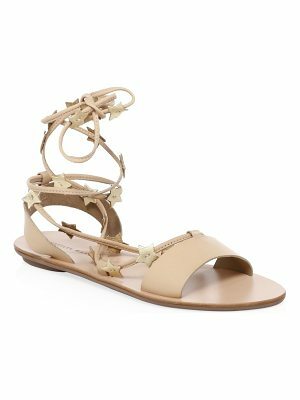 Leather ankle-strap sandal with floral-embellished band. 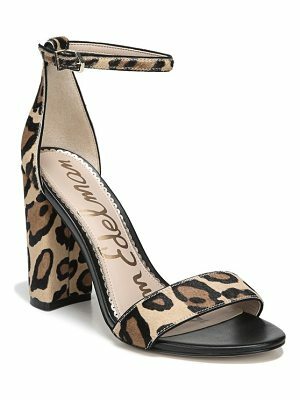 Self-covered heel, 4.5" (115mm).Leather upper. Open toe. Adjustable ankle strap. Leather lining and sole. Padded insole. Made in Brazil.